Bandito Bait Pens are make in The Florida Keys, USA using American Made trap mesh. TPK50 Bandito Pinfish Keep Bait Pen. 2 foot diameter x 2 foot tall. TPK50 Pinfish Keep 2′ tall by 2′ round. 1″ x 1″ square mesh, black PVC coated mesh. Used to keep live Pinfish or any other live bait. Large opening in the top features a vinyl protector to keep your net from snagging on the edges of the opening. TPK100 Bandito Bait Pen. 1/2″ x 1″ mesh. TPK100 Bandito Bait Pen 2 foot wide x 2 foot tall x 4 foot long. Used to Keep your live bait alive for a future day of fishing. The Bandito Bait Pen is held together with stainless steel fasteners. 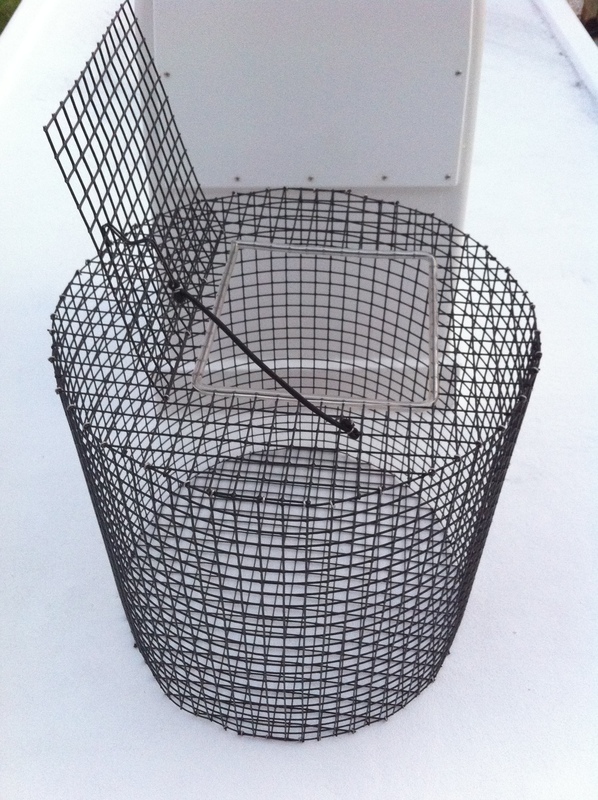 The black PVC coated trap material has ½” x 1” square mesh. The Bandito Bait Pen has a 3” diameter foam cylinder float to keep the pen floating. 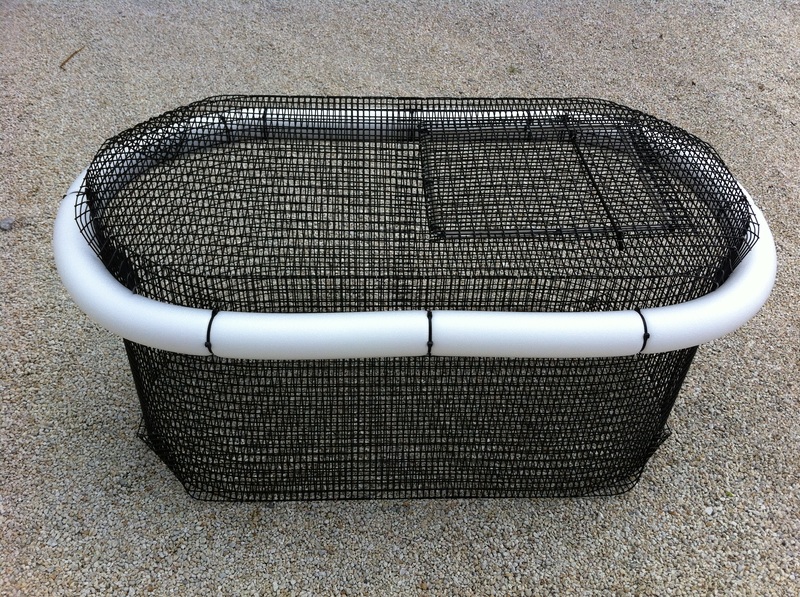 The opening has a net protector to prevent the dip net from getting snagged. Dip net not included. The corners of the top and bottom of the Bandito Bait Pen are folded instead of being cut round in order to keep the protective PVC coating intact to prevent premature corrosion. Made in The Florida Keys, USA.